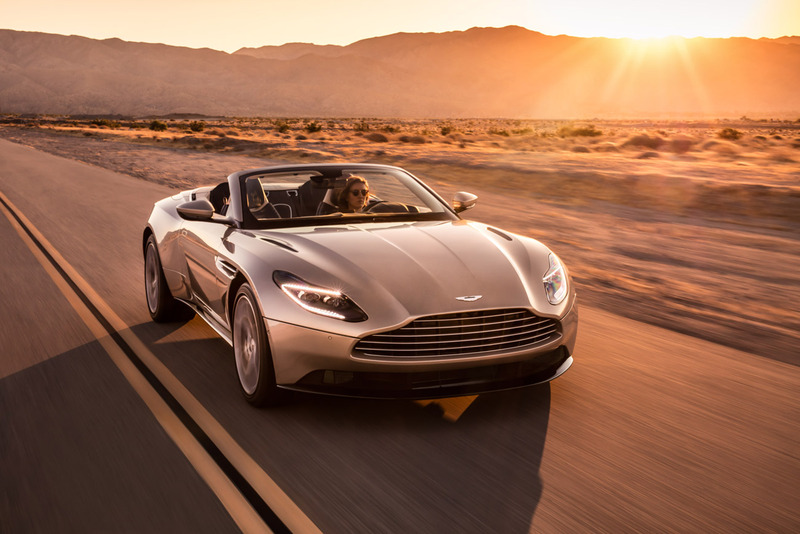 The Aston Martin DB11 Volante has the privilege of being considered as the most elegant convertible of the English manufacturer. It is an exceptional combination of performance, efficiency and sporting character. The DB11 Volante is now setting new standards of performance, innovation, engineering and style to create this GT Sports Cabriolet. 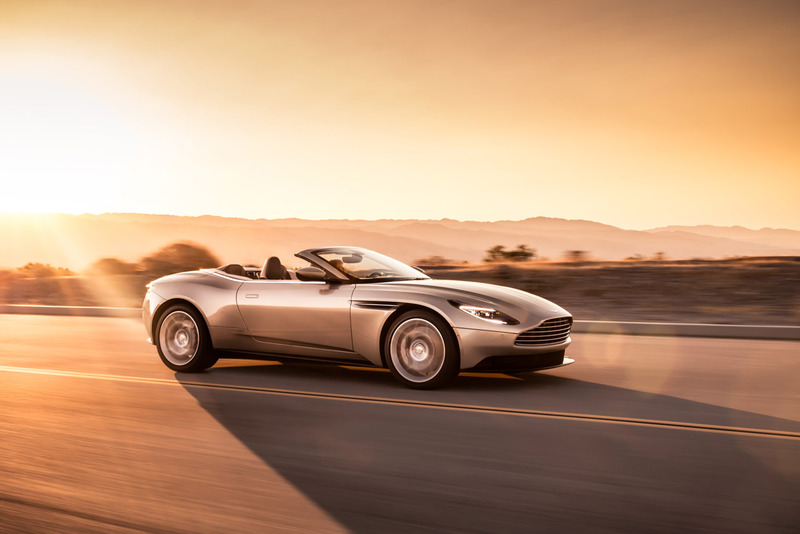 Thanks to its new 4.0-litre twin-turbo engine, the DB11 Volante has a brand new aluminum structure. 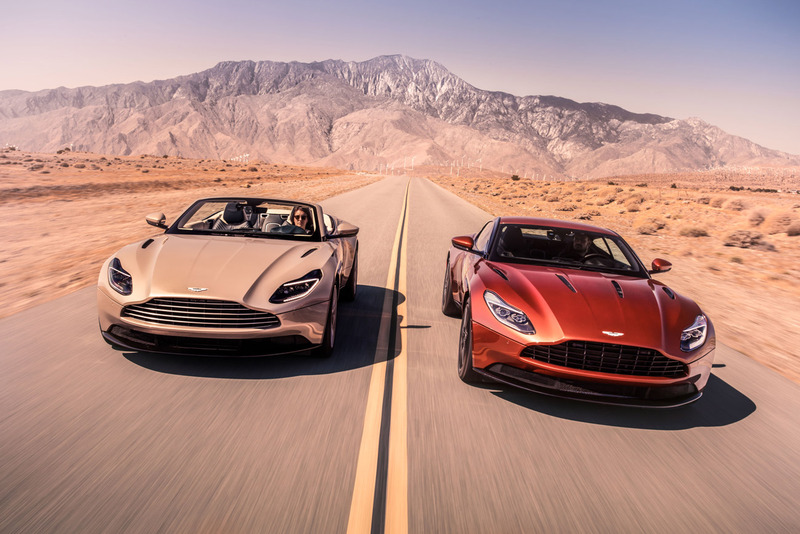 The DB11 Volante goes from 0 to 100 km / h in 4.1 seconds and can go up to 300 km / h. The car has been designed to provide an extraordinary range of capacity … the level of performance and handling has been accentuated. It is certainly one of the most prestigious GT Sports cabriolets on the market. The interior of the DB11 Volante is comfortable, refined and especially spacious to stick to its image of grand tourer. In addition to its heated steering wheel that offers a real comfort in all seasons, the DB11 Volante has an 8-speed paddle-shift automatic transmission. Thanks to the technologies offered in the convertible, the driver can configure the car according to the road, weather conditions or simply his mood. The DB11 Volante has a remarkable one-piece aluminum hood with the aerodynamic innovation “Curlicue”. 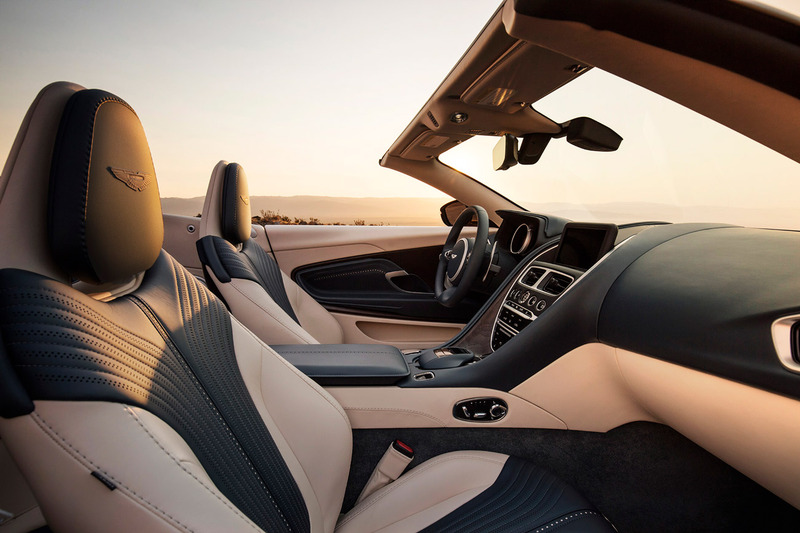 Seen from the inside, the new wood or carbon fiber veneer panels on the seat backs offer unparalleled style to the latest Aston Martin convertible. 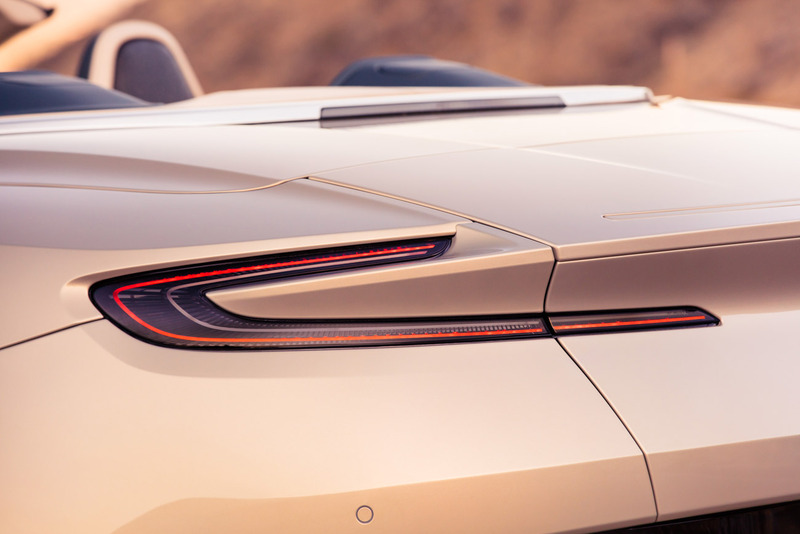 The sporty side of the DB11 Volante is definitely emphasized by the superb C graphic-shaped tail lights. The defining feature of the Aston Martin DB11 Volante is obviously its convertible roof. Combining the timeless appeal of a fabric hood with the latest acoustic and insulating materials, the roof cossets occupants from extreme weather and wind noise. 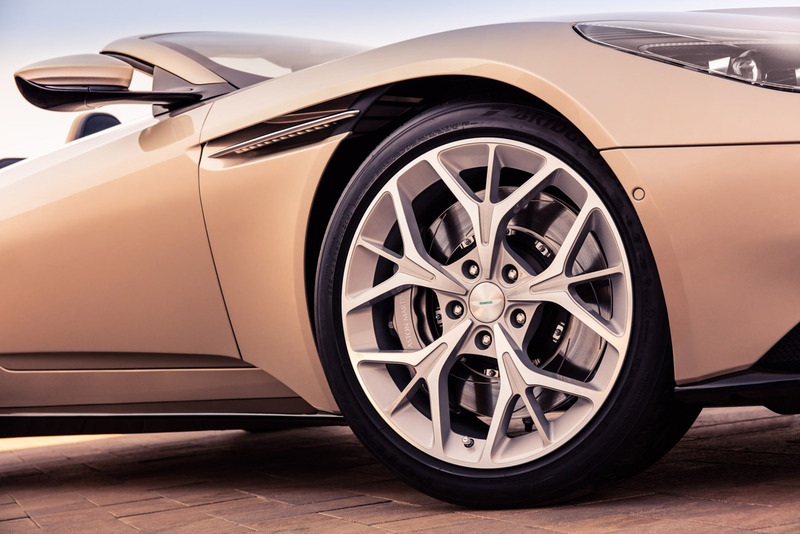 The roof of the DB11 Volante only takes 14 seconds to lower and 16 to close. It can be operated remotely from the key or on the move at speeds of up to 50 km / h with a headwind of the same strength. The new system also allowed a 20% gain on the boot volume compared to the DB9 Volante. To test the resistance of this incredible roof, engineers have subjected the roof to more than 100,000 cycles in special weather chambers that reproduce the most hostile environments in the world, compressing 10 years of use in one-month test. The results of the Life Cycle Durability (LCD) test were then validated with real-world tests with prototypes. The Aston Martin DB11 Volante is the most advanced and complete open-top ever built by the English manufacturer. 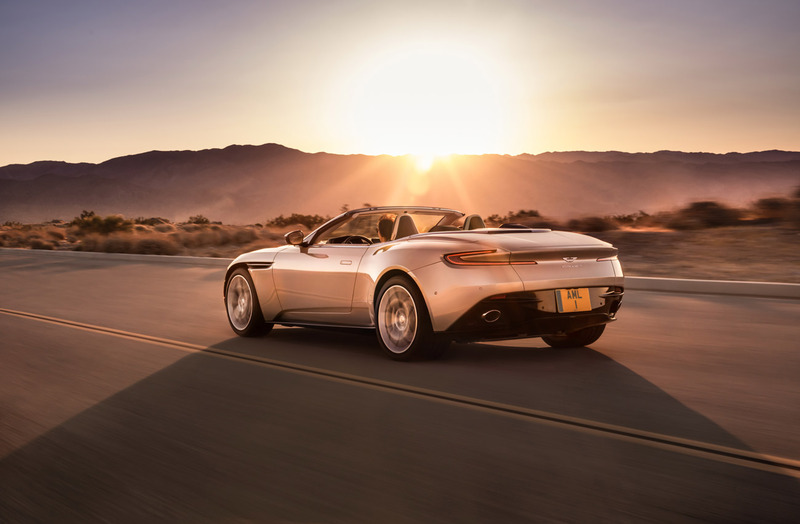 Styled to put rivals in the shade and created to achieve the perfect balance of driving, handling, responsiveness and refinement, the DB11 Volante is designed to provide the ultimate driving pleasure. Share the post "DB11 Volante by Aston Martin: a new exceptional convertible"